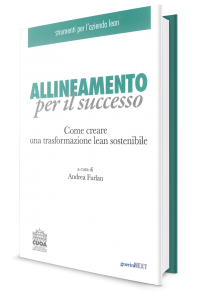 COME CREARE UNA TRASFORMAZIONE SOSTENIBILE. DISPONIBILE NELLE MIGLIORI LIBRERIE E ONLINE, IL TESTO SI SVOLGE INTORNO AD UN MODELLO CONCETTUALE CHE ABBRACCIA SETTE DIMENSIONI DI RIFERIMENTO E RACCOGLIE SU CIASCUNA IL CONTRIBUTO DI IMPRENDITORI ED ESPERTI ITALIANI E STRANIERI. L’EDIZIONE – A CURA DI ANDREA FURLAN PER IL CUOA – AFFIDA A JMAC EUROPE TUTTO IL CAPITOLO SULL’ALLINEAMENTO DELL’AZIONE COMMERCIALE ALLE ASPETTATIVE DEL CLIENTE. IL CAPITOLO E’ STATO REDATTO DA MARCO MELIOLI E SILVIA MANDELLI DI JMAC EUROPE, IN COLLABORAZIONE CON MICHAEL WEBB.